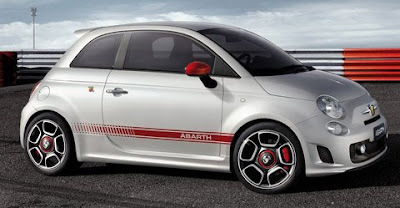 It's been reported by Automotive News that there will be four different versions of the Fiat 500. Allegedly, the 500 will come in hatchback, convertible, wagon, and "sporty hatchback." And by "sporty hatchback," they mean the Abarth version. I can't hardly wait to see the comparison tests vs. the MINI Cooper S.
Can't wait to see the wagon- I hope they avoid the Mini Clubman pitfall and give it four normal passenger doors and a normal rear hatch.